Filtration and sanitisation systems installed by Chemsphere Corporation Luxury residential and resort lagoons and pools. 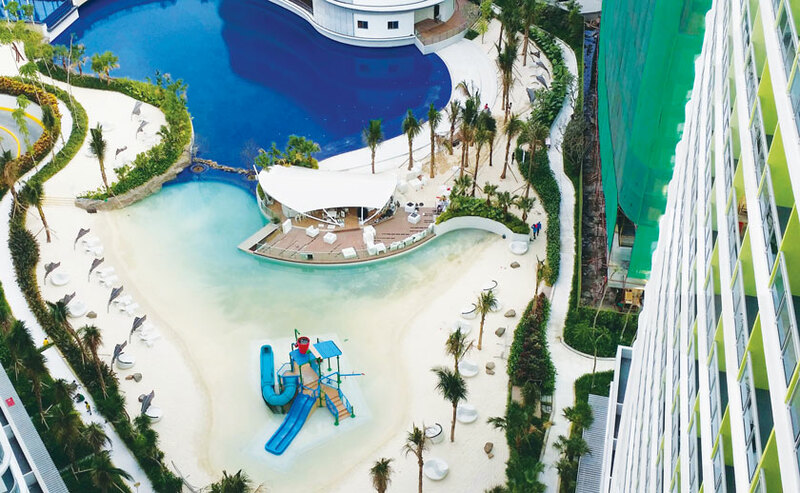 The 3,500-square meter man-made beach, lagoon and associated water facilities are one of many unique features at the spectacular new Azure Urban Resort Residences near Manila. With over 30 years experience in the Pool and Spa industry, Chemsphere Corporation of Quezon City, Philippines was selected to install the filtration and sanitation systems responsible for keeping the water at Azure sparklingly clean and healthy. AutoChlorTM – The Natural Choice. Rogelio Heredero, the owner of Chemsphere Corporation, considered AutoChlorTM technology to be a natural choice for the project. “This is a very large, premium quality aquatic facility. It needed an effective, reliable and easy to operate water hygiene system. Australian Innovative Systems is an established Australia-owned leader in water disinfection. 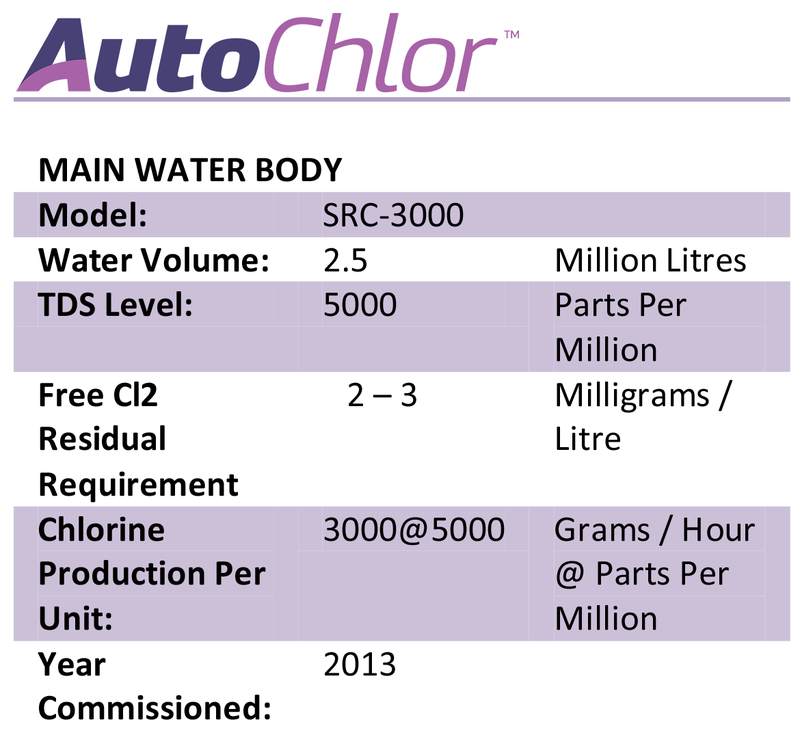 Their AutoChlorTM inline chlorinators do away with the expense and inconvenience of storing liquid chlorine onsite in big tanks. Offline dosing can be a real hassle. Inline chlorination with AutoChlorTM is simpler and just what this project needed,” he said. Chemsphere Corporation also enjoys working with a partner that thinks globally and is experienced in working with customers all around the world. “We spend a lot of time overseas to stay abreast of the latest trends and innovations in the Pool and Spa industry, for example we participate in the Splash! Pool and Spa Trade Show in Australia. AIS is at these events too, but more importantly they roll their sleeves up and provide real on-the-ground support where it matters most – with us, on site, on our clients’ premises. For example they were able to provide on-the-ground support and advice during the installation of AutoChlorTM at Azure. That’s the kind of partnership I value with my suppliers,” said Rogelio.